I was born at St. Joseph Hospital in Sioux City, Iowa. I grew up in North Sioux City, South Dakota, where my mom and dad owned the Dean and Polly Café, Cabin oil station, and Skyline bar. I started working in the restaurant at eight years of age, doing dishes; by twelve years I cooked; and by sixteen years I was serving beer. I moved away from North Sioux when my husband got a job with the U.S.D.A. meat department. We moved around for several years and finally settled in Armour, SD. My oldest daughter still lives there. I divorced my husband after eighteen years and moved back to Sioux City. While in college I met another man and the two of us lived together until he died of asbestos cancer in 2003. I have four daughters, ten grandchildren (five boys and five girls), and four great-grandchildren (three girls, one boy). I love cooking, reading, and walking to get rid of stress. I went to St. Peters Catholic School for five years, Jefferson High School for two years, and Riverside for two years. I went back to college at age 38 and got a BASW in social work and a double Master’s in Public Administration and Ministerial studies. In my younger years I worked in restaurants and bars. After college I worked for SIMPCO as a community planner for 13 years. I went to Arizona and worked in a grocery store when I decided to go to seminary at Gettysburg, Pennsylvania. After that I worked as a Chaplain in a large hospital in Mesa, Arizona, for six years and came back to Sioux City in 2014 to work at Mercy Medical Center, first as a part-time social worker and ultimately as a Chaplain, which I continue to do today. With more time on my hands now I decided I needed to do something new so I joined the Plymouth County Democratic Party. I am a Precinct Committee Person for the 10th Precinct. The new challenge of learning politics has been great. 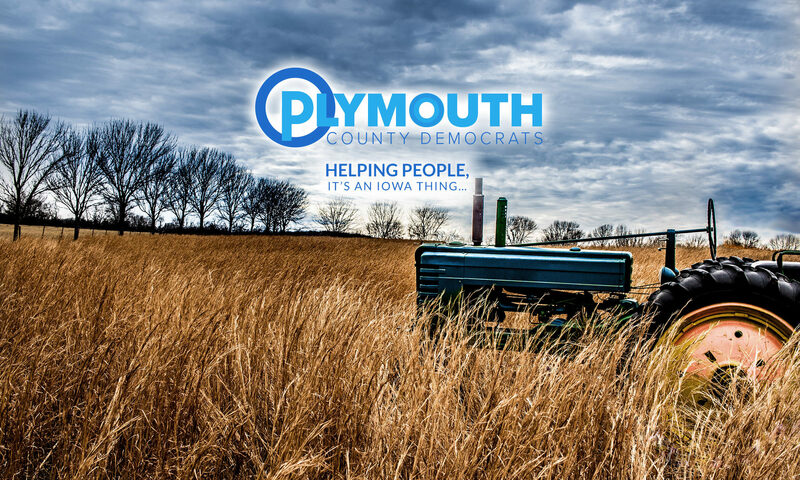 I belong to the State of Iowa Board of Social Workers, APC (a Chaplain board), and now the Plymouth County Democratic Central Committee. My most recent award was from the hospital, Spirit of Caring, for helping a patient’s mom talk with another mom who had been through similar problems with her son. The thing I am most proud of is that each of my daughters has followed me in their professions. My oldest daughter, with three little girls, went to school and got her nursing degree and today she is working on her BA in nursing. She works as a charge nurse and insurance person in a small hospital in Wagner, SD. My second daughter, with three little ones, got a BA in psychology and two years ago got her Doctorate in psychology and is working in Iraq as a counselor to soldiers with PTSD. My middle daughter, with two young children, went to school, got her MA, and then went on to get her Doctorate degree as a Nurse Practitioner. She is working in Rochester, Minnesota, in the cardiology department. She comes back now and then and works at Mercy, where she was when she was working on her degrees. My youngest daughter went to Arizona, where she got her Master’s degree in counseling before she had any children. She now has two almost-teenagers and is working at a facility where they help people with sexual disorders. Who is your biggest hero, past or present? A little over a year. Yes. I am an alcoholic, sober for 35 years.